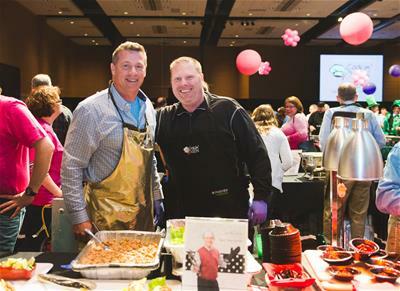 Thanks to our fabulous chefs, the Parkview Foundation raised nearly $176,000 in support of women's health initiatives! You are the ones who make it possible for us to continue the wonderful Cookin' Men tradition of food, fun, and philanthropy year after year! Thank you. If you are interested in volunteering as a chef in the future, please fill out a New Chef Application and your name will be added to our waiting list. Thank you for your interest in Cookin' Men.